There used to be just one choice – the Chanel O Case in different colors but diamond quilted and it features a tiny cc on the top. That’s it. Now you need to collect all the Chanel O Cases because there are so many versions of it. The latest edition we adore was the Boy Chanel O Case. 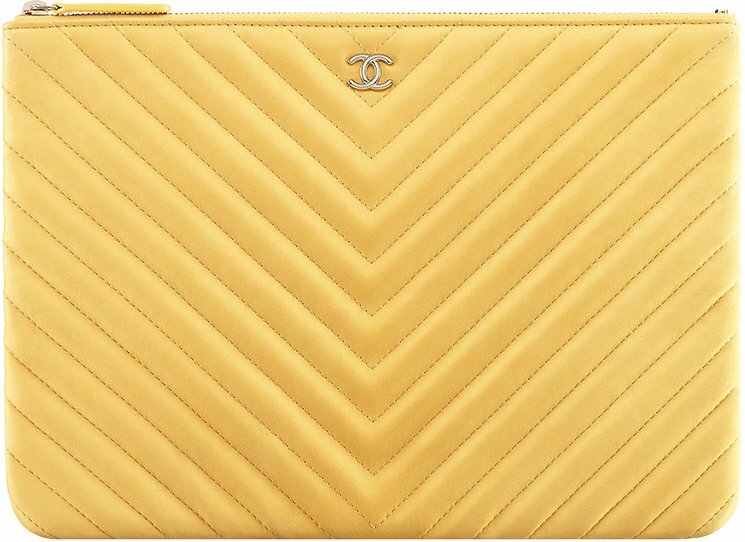 So today, there is another classic version of this pouch – it’s the Chanel Chevron Quilted O Case. The Chevron style is like the Quilted style, both creates the timeless appeal and they’re just gorgeous. 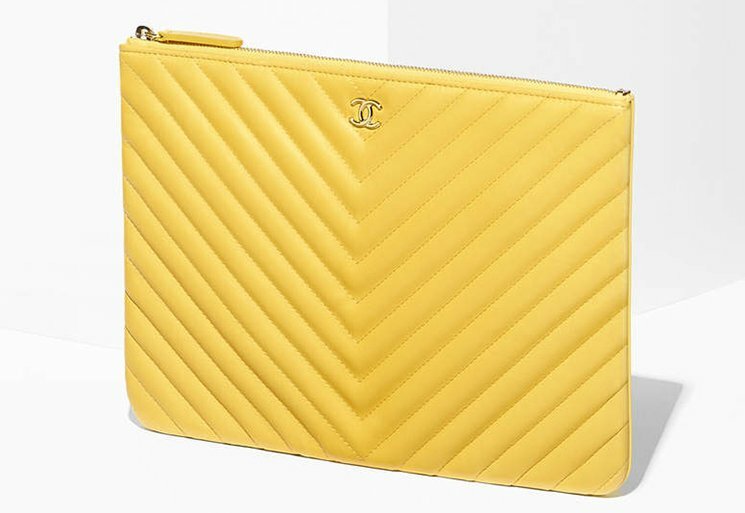 For this season, the Chanel Chevron O Case is available in bright colors like yellow. It’s crafted from lambskin for the luxurious experience. The style code is: A82545, measuring 7.9’ x 10.8’ x 0.4’ inches and is priced at $1000 USD, 850 euro, 790 GBP, $1340 SGD, $1300 AUD, $7100 HKD, 112320 JPY via Chanel boutiques.